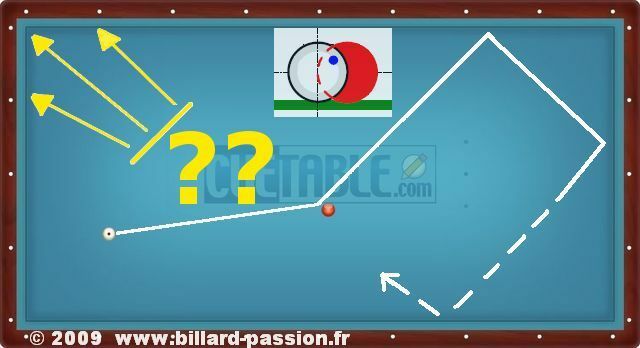 A PATRICK DUPONT' SYSTEM The next tip is an arithmetic help to play 3 cushions in the lenght of the billiard table without use the diamond system. 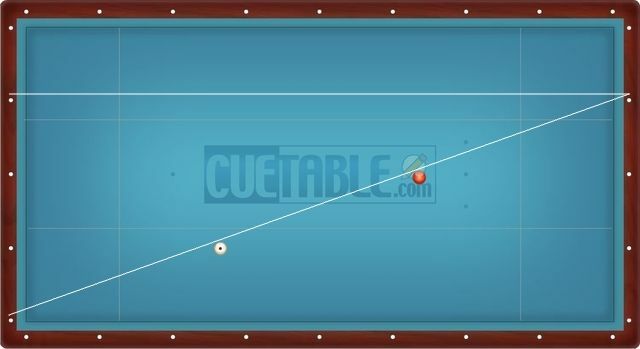 It is not as easy as it seems to be when balls are not close. 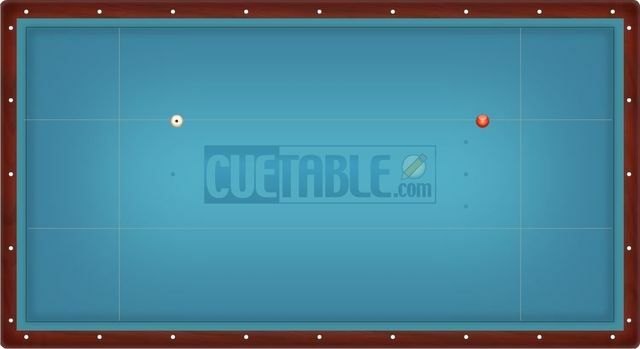 Due to the perspective we don't see the same size for the 2 balls. 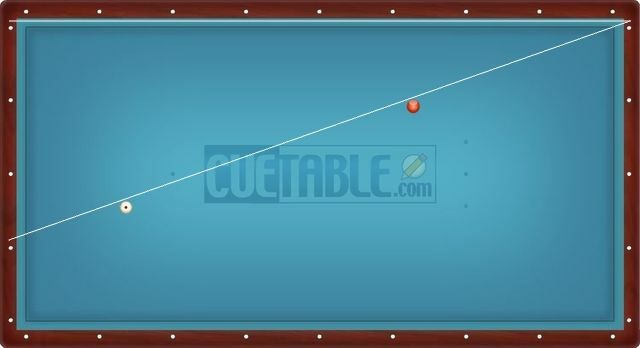 The 2 two following exercises - ascending in difficulty - will let you work this aiming. 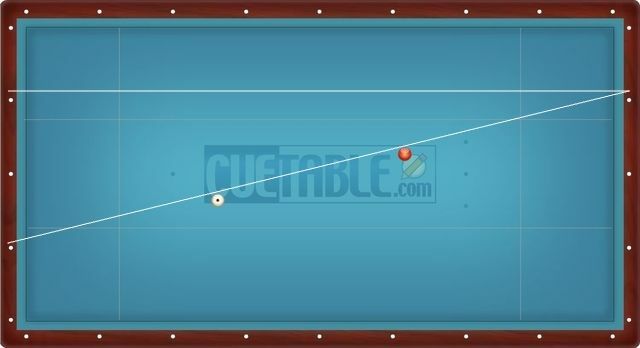 Here the difficulty is increasing because the player's ball is farther, still in the same axis. 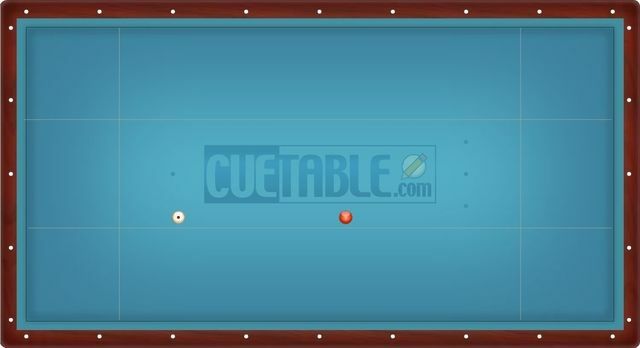 the 2 balls stop rolling almost at the same time. 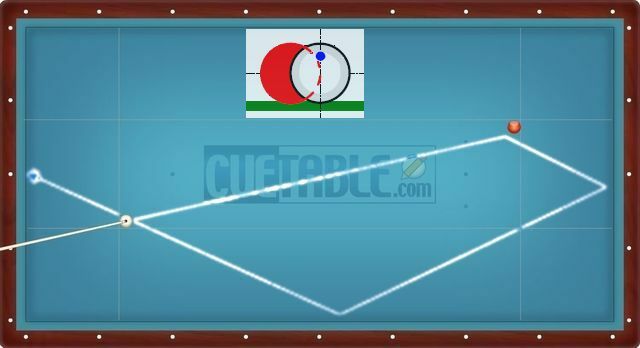 the 2 balls generate a banging sound when they meet. 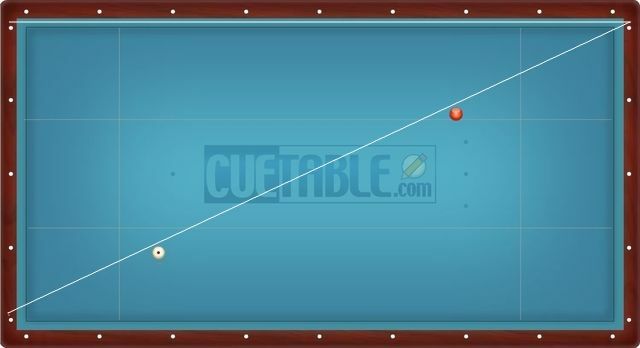 With this example even if we are out of the table ( virtually ) we can evaluate the distance. 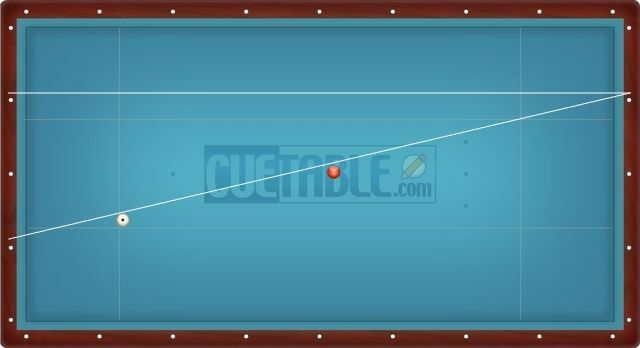 If we continue the line ball-ball we see that the distance is 4 marks. 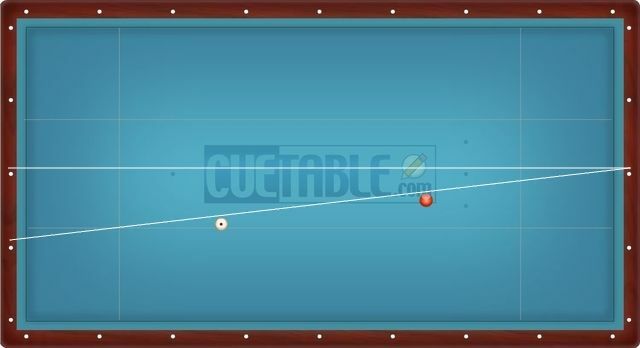 If the third ball is on the final trajectory, it's in the bag ! 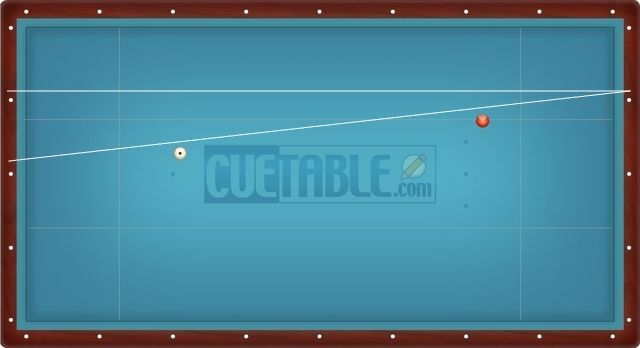 to do more we need to lower 2 tips below the center and take more than half of the played ball. 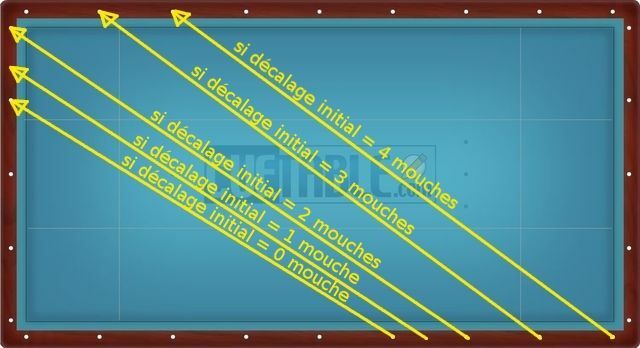 U can read other 3 cushions systems in free documents in the dowload area with following this link.